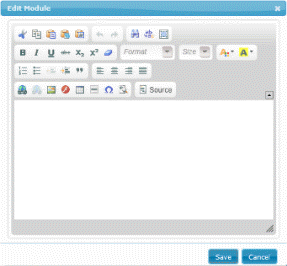 The Markup module provides a WYSIWIG editor for entering text, images and hyperlinks. 1. 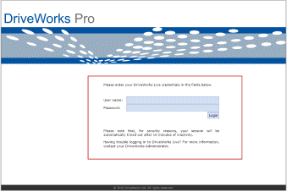 Start Personal Web Edition or DriveWorks Live and Login when the Login page appears in your browser. Once logged in, type setup at the end of the current address shown in the browser address bar, click Go to or hit Return to go to the address. The setup page below will now be displayed. 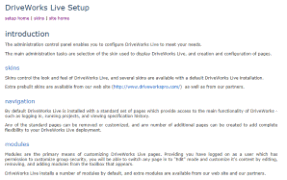 Click the skins link from the page navigation just under the DriveWorks Live Setup heading. The skins.aspx page will now be displayed. Click the Preview link under the required skin to open a new page that displays how the skin will look. Return to the skin.aspx page and click the Apply link, under the required skin, to apply the selected skin to the theme. 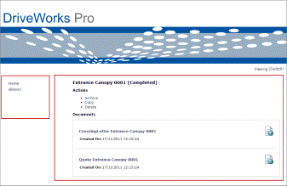 Click the setup home link, just under the DriveWorks Live Setup heading. 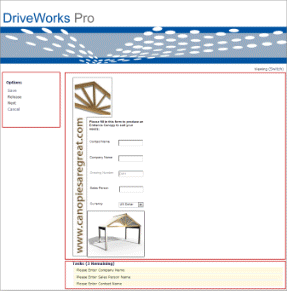 Click the site home link, just under the DriveWorks Live Setup heading. 2. 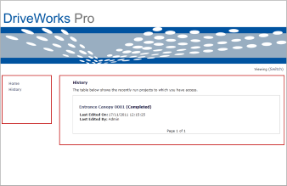 Navigate to the Web page that contains the module to be edited. 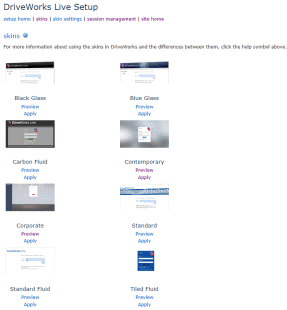 The Web theme contains the following pages by default. Expand each section to learn more about that page and how it can be modified. The integration page supports integrating DriveWorks Live into external web sites. The login page contains the Login Module. 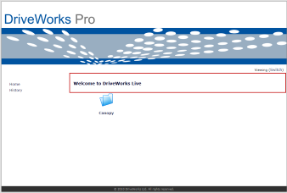 Typing bye in the address bar of the current URL will force a log out from the DriveWorks Live session. 3. Switch to Editing Mode. Click the edit mode link on the required page. Once in Editing mode on the web page that contains the module click the Edit link in the top right corner of the module.